Family business, Sears Morton, has been a feature of Canberra’s furnishing retail industry for over 50 years with its premier showroom centrally located on the corner of Isa & Newcastle streets in Fyshwick. From the moment you walk through the door you are greeted by the smell of polished timbers and will find yourself surrounded by quality custom made furniture in a range of native Tasmanian Timbers. Sears sources their furniture from well-known furniture craftsmen who maintain a standard of unsurpassed quality and excellence in all their designs, which covers all areas of your décor, dining, bedroom, entertainment to sideboards and occasional pieces. Visit us today! 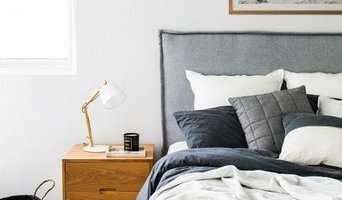 Heatherly Design offers a stunning range of upholstered bedheads, fully upholstered beds, footstools and storage boxes for the discerning interior designer and home decorator. A Heatherly Design upholstered bedhead adds the finishing touch to a bedroom and that missing layer of comfort to a bed. Living Edge supplies authentic, elegantly designed furniture to the Australian marketplace. We showcase a range of premium internationally-renowned products for residential and contract use. Led by our commitment to authenticity in design, we distribute premium international furniture ranges from Herman Miller, e15, Walter Knoll, Established & Sons, BD Barcelona, La Chance, Lasvit, BassamFellows, PROOFF, Howe and Les Basic. Our showrooms mix iconic pieces from designers like Charles and Ray Eames with new classics from celebrated contemporary talent. 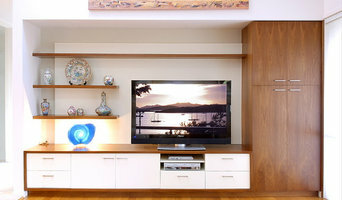 B2C Furniture supply modern solid timber furniture beautifully designed to maximise storage. We are an Australian owned furniture business. We manufacture our own furniture to meet the high quality and styles expected by the Australian market. We have cut out the middle-man, and sell our manufactured furniture direct to customers, allowing us to price very competitively and provide outstanding value to our customers. 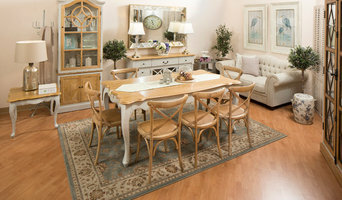 Our exceptional quality furniture gives you peace of mind that the pieces will give you years upon years of enjoyment. As well as having a great range of white furniture through to more traditional rustic furniture styles, we’ve also made your life easier by delivering all our bedside tables and chest of drawers assembled! Visit our showroom today. fenton&fenton offers a unique shopping experience and expresses a style that dares to mix and match objects, origins and eras. Here you will find an ever-increasing and eclectic collection of home wares and lifestyle products as Lucy is constantly searching for concepts and designs that exhibit the same adventurous spirit that drives her. From vintage to avant-garde, the furniture collection accords with vivid textiles, one-off curios, artwork and jewellery to create a highly sought after look. makers of Future Antiques and heirlooms for all areas from Home to commercial uses no matter how small or large your project may be we will be happy to sink a button into it.. Temperature Design...a fusion of creative design & manufacturing capabilities that bring together an ever changing collection of contemporary furniture & accessories that can be tailored to our client's needs & budgets. Exclusive supplier of ercol furniture in Australia and New Zealand. Whatever your situation, it’s always a good idea to do some research before visiting a retailer or furnitures stores you find online. Start your research right here on Houzz. Read through professionals’ profile pages to find out location info, look at any photos of their work and check how long they've been in business. Read any reviews by design professionals and find out which furniture makers offer the best customer service. 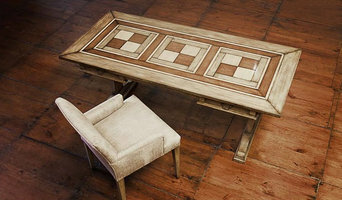 If your style or space is unique, it will be wise to consult a custom furniture maker. Here are some related professionals and vendors to complement the work of furniture & accessories: Interior Designers & Decorators, Artists & Artisans, Kids & Nursery, Wardrobe Designers and Professional Organisers, Bedding & Bath. Many home furnishers offer interior design consultations or room planning guides to get you started. Whether you decide to work with a home decor specialist or to become your own expert, it’s important not to rush the furniture-buying process. Visit plenty of showrooms and stores so you can feel comfortable with your purchase. Find furniture and accessories manufacturers, showrooms and retailers on Houzz. Narrow your search in the Professionals section of the website to furniture and accessories, then choose the nearest metro area for showrooms and retailers. Or you may want to look through photos to find designs you like and contact the furniture manufacturers and showroom galleries directly.